When it comes to beach vacations, there are certain items that you need in order to fully enjoy your stay. You have to bring out the mats, the umbrellas to shield you from the harsh glare of the sun, beach towels and of course, beach chairs. Beach chairs are crucial, since they keep sand from getting on your body. These fixtures come in a nice range of styles, and the most comfortable beach chair, of course, would have to be that item that gives you the support you need and the material you feel comfy in. If you are on the hunt for a beach chair, there are lots of chairs available that are specifically made for beach activities. These chairs are often lightweight and can be folded quickly, so carrying them with you will not put a burden on your shoulders. There are even models that come with straps so users can strap them on their back for hands-free transport. Several models are even designed to rock users for the ultimate relaxation by the sea. With a book in hand and your favorite drink by your side, you can completely relax by the beach with a great beach chair. Beach lounge chairs and folding beach chairs are often seen in places like the pool sides of hotels, clubs and resorts. One of the primary advantages of this type of chair is that they can be folded, which makes it a convenient piece. The chair can be composed of materials ranging from plastic, wood, mesh and lighter metal materials. The fabric that is used to make them is usually marine-grade so it can counter wear and tear from the presence of sand and the eroding qualities of salt water. 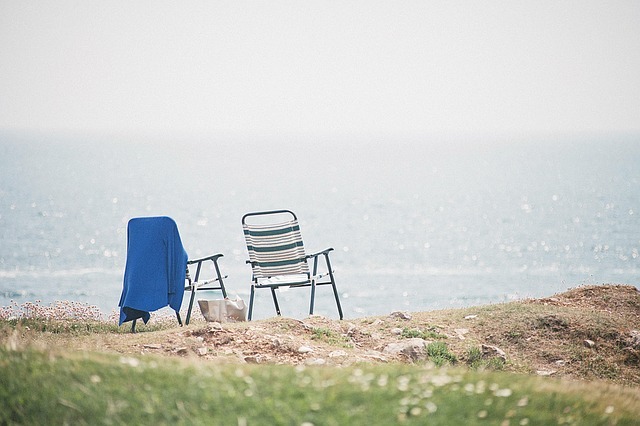 Beach chairs are often utilized for other occasions too due to their benefits and convenience. You will see them used at events like picnics, tailgating and other sorts of activities that involve the outdoors. The most comfortable beach chair is durable as well, and that is another advantage of the fixture. The chair sometimes comes with options that plenty of users find practical. There are models that come with armrests, headrests, footrests and drink holders. Consumers are also offered a wide range of designs and materials. If you want a fixed chair for use by the pool, you can opt for a model that is made of heavier wooden material. There is a beach chair for everyone, in fact. Consumers can select models with bright colors and patterns or they can look for a chair that has a more minimalistic feel. There are also different sizes and weight limits available. Lots of beach chairs now include storage and accessories like umbrellas. These versatile chairs can be bought at retailers from department stores to outdoor gear shops. You can also buy one online if you do not have time to visit the physical stores. You have to be sure that the model you buy is safeguarded against the environment you will be utilizing it in. Prices also vary when it comes to materials, features and quality. If you have a limited budget, you can look for great deals on beach chairs online or seek a second-hand one instead. Older beach chair models do not have this option, however, contemporary chairs now offer this feature. We are quite familiar with the dangers of sun exposure, so having a beach chair with an umbrella will help protect us from the harsh glare of the sun. The double-seated kind can be used by two people simultaneously. This model will also help you save money since you won’t have to buy another chair. This is also a nice item to have in case you do not have enough space. The main reason why you came to the beach is to just sit back and unwind. What better way to do all that relaxing than by using a reclining beach chair? You can opt for the standard kind or you can go for a model that comes complete with additional cushioning and pillows. The most comfortable beach chair for your kid is something that is designed specifically for children’s use. These have a smaller size in order to accommodate kids’ frames. This chair will help safeguard your kid from the sun’s rays and keep their feet off of the hot sand. It will also keep them sand-free. As you have noticed, the options, designs and colors for beach chairs are immense. Invest in a nice chair and your days by the poolside or beach will become a truly relaxing venture.